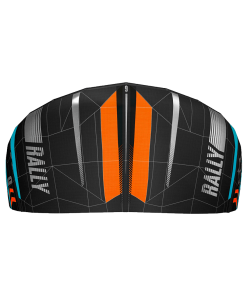 The Rally features a Delta-C shape, tapered wingtips and fine-tuned three-point bridle system. 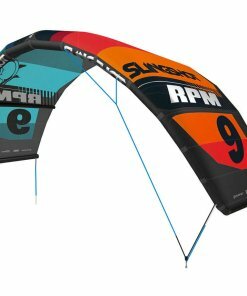 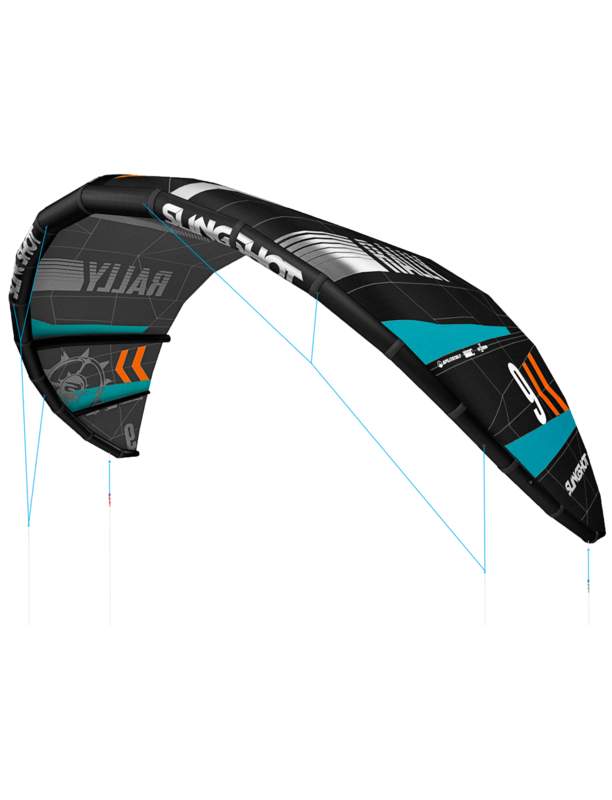 This design yields more depower and a wider wind range than more traditional shapes and makes relaunching as easy as a gently pull on one end of the bar. 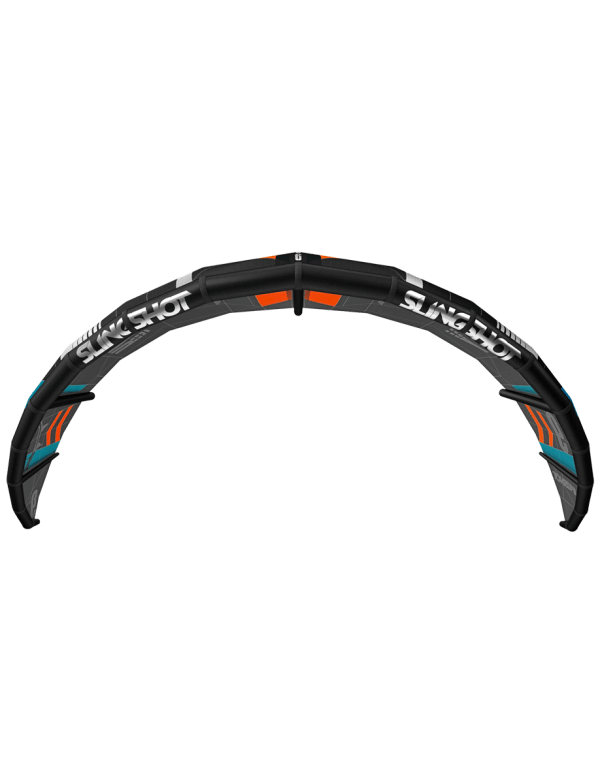 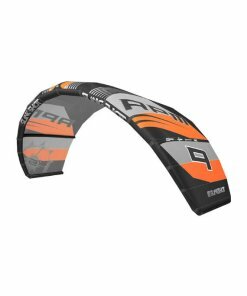 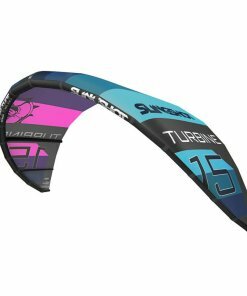 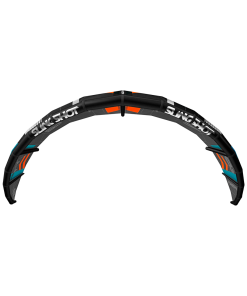 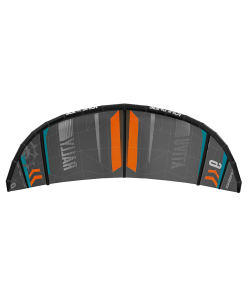 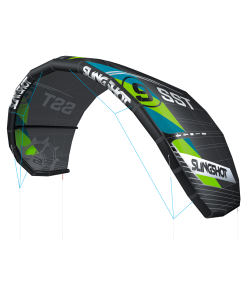 Tapered wingtip provides a tight pivot radius for fast steering and mellow, predictable loops. 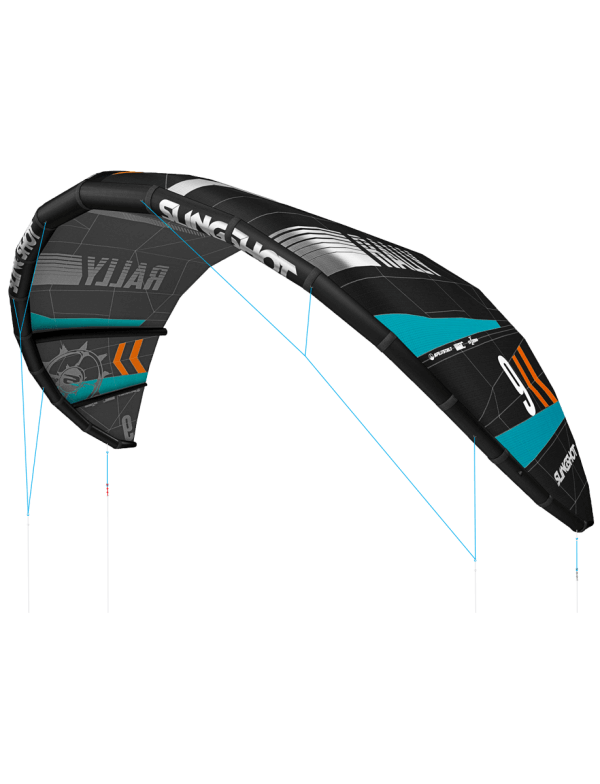 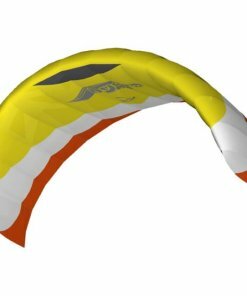 For jumping, the Rally’s hybrid delta shape provides long, lofty airs that are great for staying under control and landing gently regardless of how high you go. 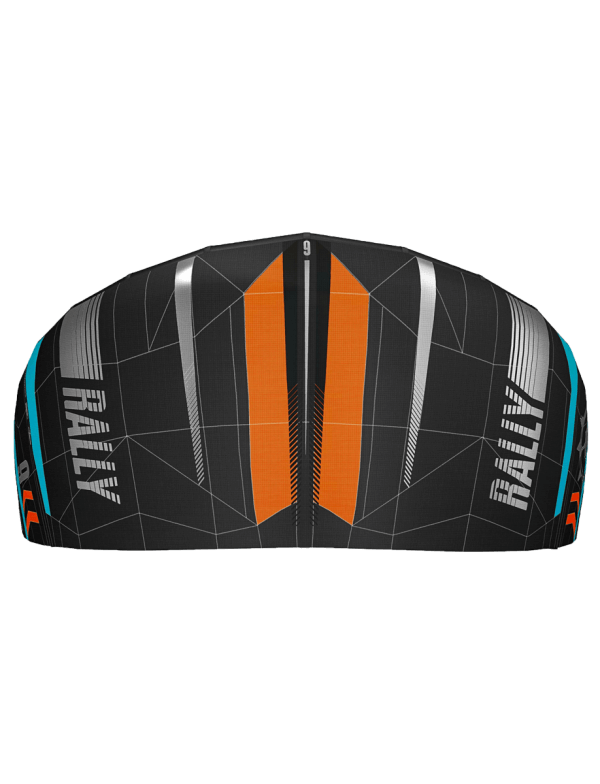 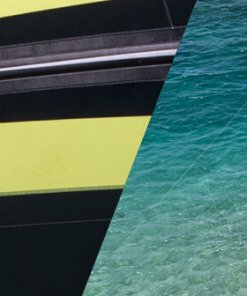 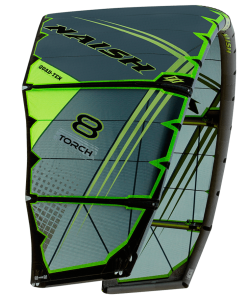 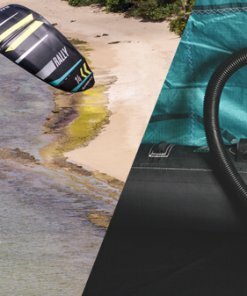 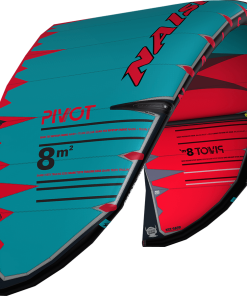 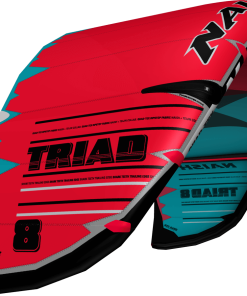 For wave riding and foiling, the Rally’s feathery downwind drift makes the Rally the ideal cross-over performer, while on the opposite spectrum it also unhooks for cross-over freestyle/wakestyle. 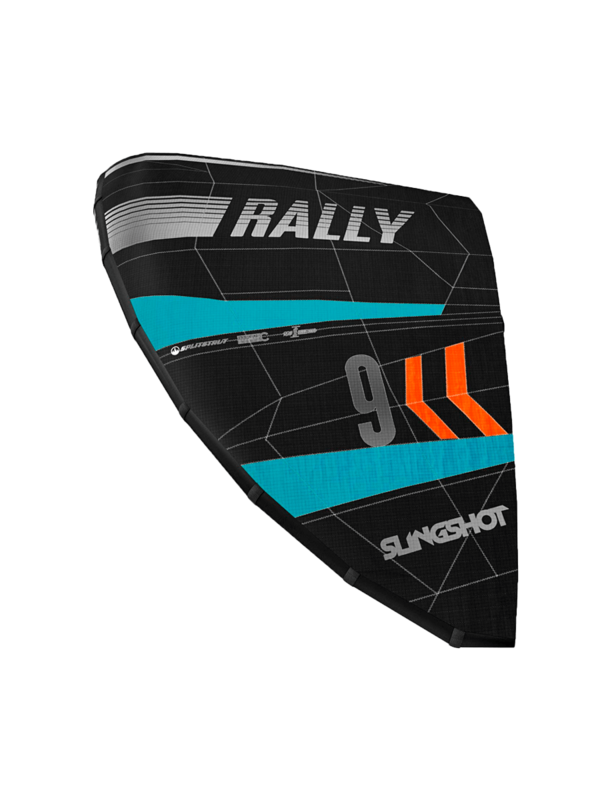 The Rally is the ultimate utility player. 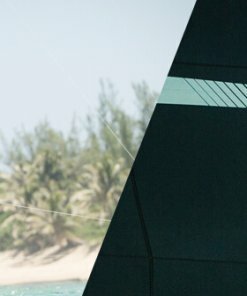 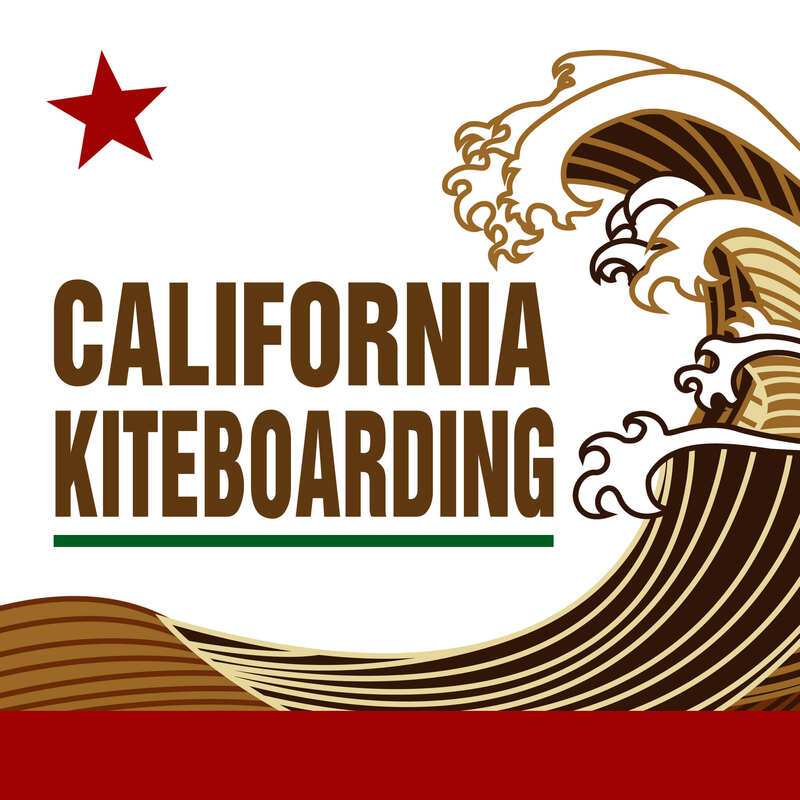 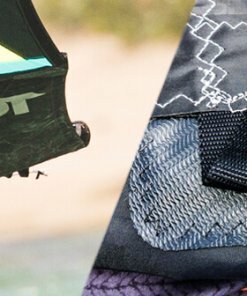 Whether you’re facing gnarly, gusty wind, massive waves, or the entry-level challenges of learning to body drag, board start and relaunch successfully, the Rally inspires the confidence of knowing you’ll always have the right kite for the conditions.